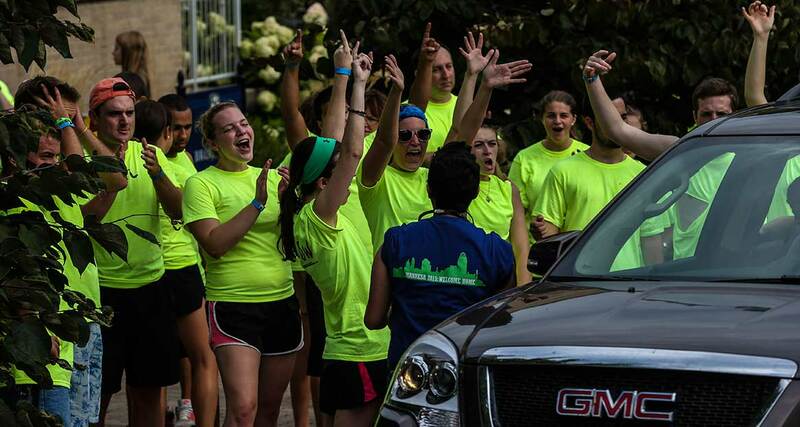 If music is your passion, we can make it your vocation. And being a virtuoso is not a pre-requisite—your acceptance into the Xavier music program is based upon your musical literacy rather than performance accomplishments. It's from that starting point that you'll discover and follow your passions and interests, whether it's education, performance, theatre or directing. 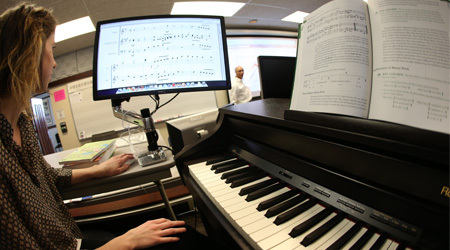 Keyboard Skills I (MUSC 208) - The first in a sequence of courses for music majors. Skills learned include elementary scales, arpeggios, triads, chord progressions, and solo repertoire as well as sight-reading, accompaniment, harmonization, transposition, and improvisation. World & Popular Music (MUSC 212) - A survey of non-Western and popular styles to complement the coverage of classical music. Music History III (MUSC 310) - This course aims to deepen the study of music history by using a series of mostly 20th century operas as a lens through which to address topics that have become central to the study of music during the past few decades, such as high vs. low art, gender and sexuality, emotion, and the canon. Form & Analysis (MUSC 400) - This course emphasizes the study of musical forms and the analytical approaches used to explain them. Students examine selected Western standard repertoire from Gregorian Chant through the early 21st century. 100% of Xavier Music Majors are employed, attending grad school or working in service or volunteer positions within six months of graduation. 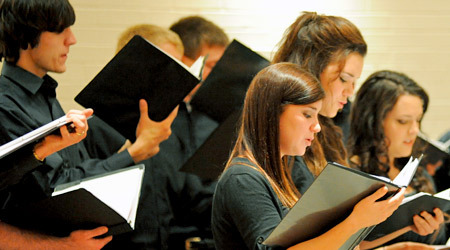 of Xavier Music Majors are employed, attending grad school or working in service or volunteer positions within six months of graduation. 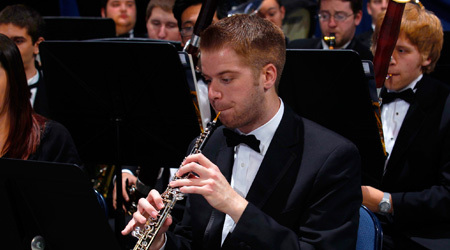 Play an instrument with other students in our Symphonic Wind Ensemble, Jazz Ensemble or Chamber Orchestra. If singing's more your thing, connect with the XU Concert Choir, the women, and men's choruses or the Edgecliff Vocal Ensemble. Cincinnati is one of only 13 U.S. cities to boast a professional ballet, opera, symphony, and theater. Engage with local arts organizations, including the Cincinnati Pops, Cincinnati Ballet, and Cincinnati Chamber Orchestra. Small class sizes allow you to ask the right questions and get the attention you need to succeed and learn. On top of that, our Career Development mentoring program will connect you with a Cincinnati-based professional in your field. The Department of Music is a fully accredited member of the National Association of Schools of Music (NASM). All of Xavier's programs in music education have been accredited by the Council for the Accreditation of Educator Preparation (CAEP).